MK Yoav Kish (Likud), chairman of the Knesset's Internal Affairs Committee, drew in retrospect a connection between Netanyahu's decision not to take forceful action against Hamas in Gaza and Operation Northern Shield launched today against terror tunnels along the northern border. "Years of preparations culminate in one morning," Kish said of Northern Shield, calling the operation "An important and strategic move by the IDF that can be carried out in the light of the quiet in the southern sector. I appreciate the prime minister and the Israeli cabinet for political and security responsibility and intelligence. The legitimate frustration caused by Israel's restraint in the face of Hamas fire is taking a turn." Kish also added, “This is a significant process by the IDF in the northern region that not only includes all the engineering complexity, but operational preparation for a possible escalation with Hezbollah. The IDF is not looking for an escalation, but we must prepare for such a scenario," he said. "About two weeks ago, the cabinet, which knew in advance about preparations for the operation to thwart the tunnels in the north, faced a difficult decision - whether or not to respond with a strong military strike against the Hamas aggression. 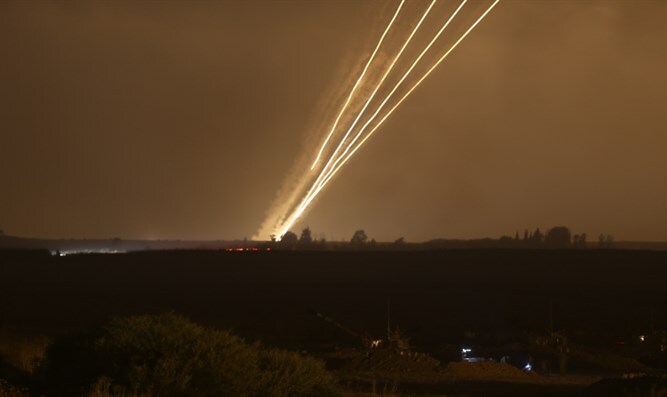 It is clear to everyone that a tough military move against Hamas could have led to regional deterioration and confrontation in the north as well, and this when the tunnel threat was not thwarted." "The considerations ultimately lead to a decision of restraint to allow the operation to thwart the tunnels in the north. I very much appreciate the leadership of the prime minister and the cabinet for the balanced decision they made despite the harsh public criticism, even though the prime minister's decision at the time seemed hesitant and weak."